It's just your typical Music City story. A frequently homeless, 62-year-old singer-songwriter-guitarist gets discovered at a Nashville food pantry by a Swedish country music star, who helps him from the streets to superstardom in a country best known for Abba's "Dancing Queen" and the like. "What's Abba?" asks Doug Seegers, in a voice free of irony. Seegers isn’t much into pop music. 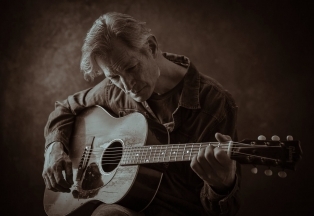 He grew up on the hard-country sounds of Hank Williams, and came to adore the heart-first country-rock that Gram Parsons made with the assistance of young harmony vocalist Emmylou Harris. Those influences are present on Seegers' remarkable debut album, Going Down To The River, a fully realized version of the music he has been making on Nashville streets for decades.